In November of 1983 Bill Gates officially announced Windows 1.0. The OS wouldn’t launch until two years later, but that marked the beginning of Windows. In the 30 years since that day we have seen the OS undergo many different changes, in both design and functionality. We thought it would be cool to look back at how far Windows has come in 30 years. Enjoy the tour! Windows 1.0 was released on 20 November 1985. It was Microsoft’s first attempt at a multi-tasking graphical user interface-based OS on the PC platform. The shell of Windows 1.0 was MS-DOS. Some popular apps in 1.0 included Calculator, Calendar, Cardfile, Clipboard viewer, Clock, Control Panel, Notepad, Paint, Reversi, Terminal and Write. Windows 2.0 was released in December of 1987. 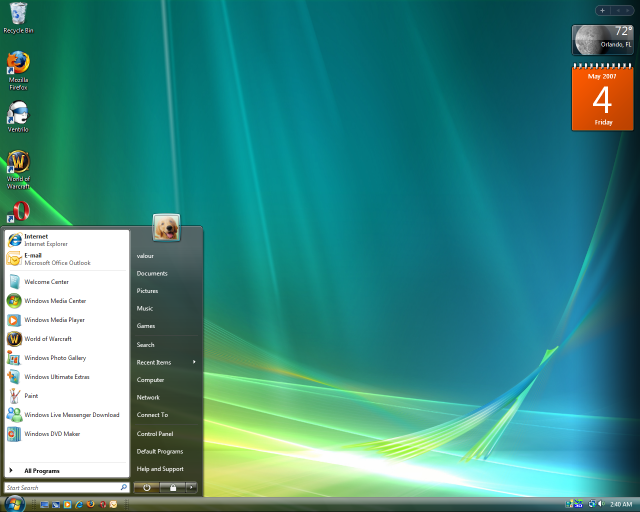 With several improvements to the UI, including the ability to overlap windows, it became more popular than Windows 1.0. 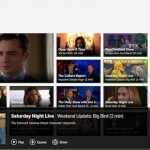 The overlapping feature led to Apple filing a suit against Microsoft for copyright infringement. Windows 3.0 was released in 1990. it featured a more refined UI and improved design thanks to virtual memory and device drivers. Windows 3.0 was the first big success from Microsoft. It sold 2 million copies in the first six months. This was also the first version of Windows to include Solitaire. Windows 95 was released on August 24, 1995. This was the first version of Windows to have the now famous “Start Menu.” The taskbar and Windows Explorer were also introduced in Windows 95. 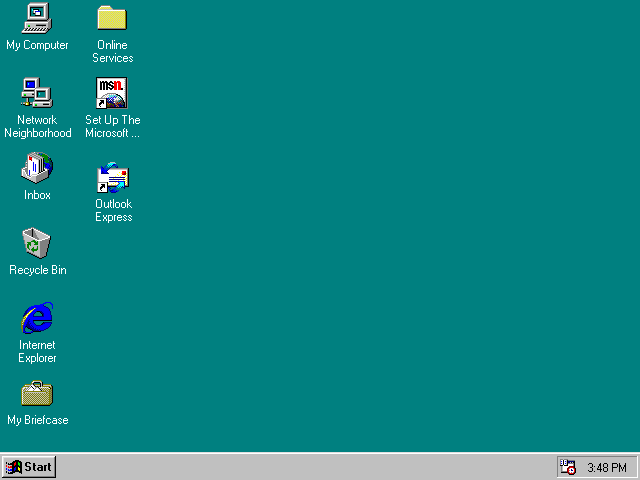 Thanks to its redesigned interface and new Start Menu Windows 95 became a huge success. On June 25, 1998 Microsoft released Windows 98. Visually it looks very similar to 95, but with some important under the hood improvements. USB devices and multi-monitor configurations were supported for the first time. On September 14, 2000 Microsoft released Windows ME (Millennium Edition). 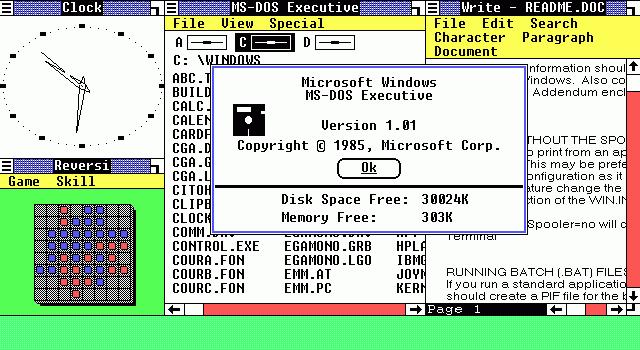 This was the last version of Windows to be based off of MS-DOS. it added UI enhancements and faster boot times along with better multimedia support. ME is most known for being one of Microsoft’s worst releases due to a number of compatibility and stability problems. Windows XP was released on October 25, 2001. It came with a brand new UI and many improvements thanks to no longer being DOS-based. This was the first version of Windows to be offered in multiple versions: Home and Professional. Windows XP may be Microsoft’s biggest success. There are many people who still use XP to this day. Microsoft followed the success of Windows XP on January 30, 2007 with Windows Vista. 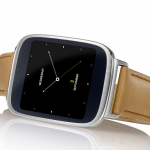 it contained new features from a redesigned UI and particular attention to security features. Like Windows XP, it was available in multiple versions. Vista is infamous for being hated by consumers even after Microsoft made considerable improvements through updates. After the disaster of Windows Vista it was time for Microsoft to go back to the drawing board. 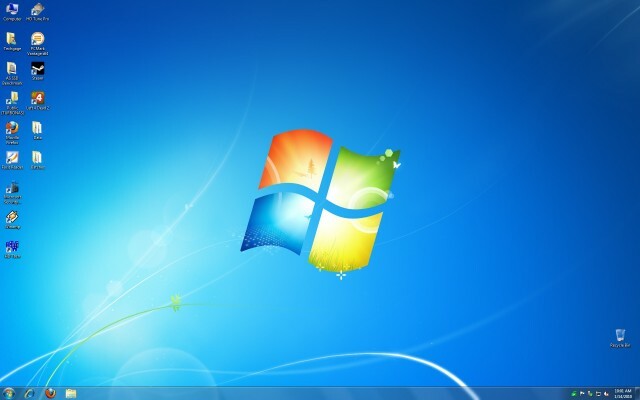 They ditched the frilly names and released Windows 7 on July 22, 2009. 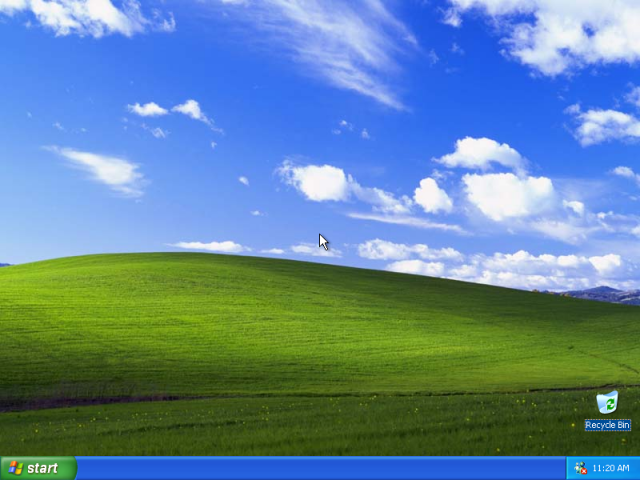 Windows 7 was more focused and minimal compared to the bloated Vista. 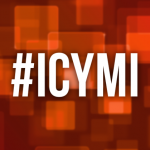 Some of the big new features include an updated taskbar and better windows organization. Windows 7 was a big success. On October 28, 2012 Microsoft released their most significant change to Windows. 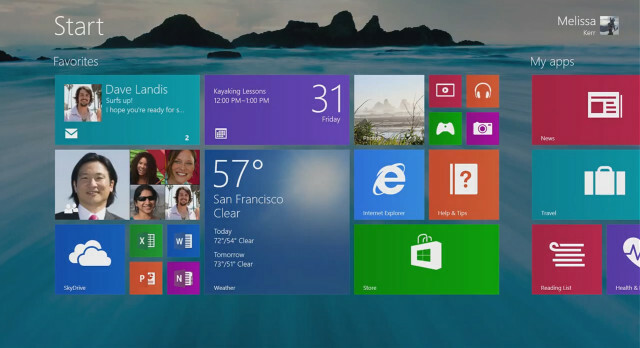 In Windows 8 Microsoft removed the famous Start Button and Start Menu in favor of a touch-friendly “Metro” interface. User reaction to Windows 8 was mixed at best, but slowly it has become adopted. With Windows 8 Microsoft is once again ahead of the times. What was the first version of Windows you used? What was your favorite? First version my family had was Windows 95 I think, but the version I remember most was Windows ME. Does anyone remember Microsoft BOB? Windows XP was released on October 25, 2001! First I used was 95, as well. Also, what the hell is Microsoft BOB? I know, right? It’s barely 2yrs old. Why no mention of NT? That was the precursor to XP and the modern Windows as we know it. Vista wasn’t bad after all of the updates/service packs were installed. I still run a VM of it. Google it for a laugh. Windows 2000 and Windows NT were the first ones I used at work. At home, I still remember my Windows 3.1. My first was 3.1 on a 386 PC! 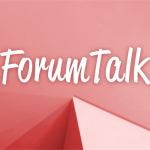 What happened to Windows NT 4 and Windows 2000? I don’t enjoy working with Windows. Enjoyment is not a word I associate with Microsoft Windows. You know you have perfectly adapted to Windows 8 when you reinstall Windows 7 or XP. First – Windows 3. Best – Windows 8.1 Used every one in between. Those who designed windows 8 and 8.1 are just bunch of jokers . First for me was 3.1 and at the time I loved it. Have used all ones since including NT and 2000 which was a key release. Vista really wasn’t that bad after SP2 and W8.1 is brilliant. The article forgot the NT-Line of Windows. Also the picture of Windows Vista is from Windows 7. Windows 1 could run only one program at a time – Windows 8 can only run one program at a time. Progress? My favorite version of Windows? KDE on Debian. Ok, the last thing from Microsoft that made me take a second look was NT4, the server and the workstation. I used the Windows 2.0+ stuff that ran under DOS. I started liking it a little in Windows 95. 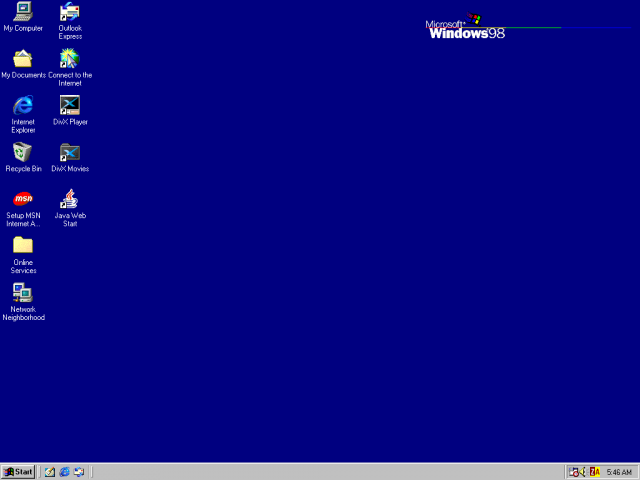 Like the stability of 98 (still running in a Win 7 VM for one app). Ignored the buggy ME. Had too many compatibililty issues with NT/2000. Liked XP pretty well (still running). Skipped Vista. Moving to Windows 7 while I still can. I got off Windows phones when the Metro interface first showed up there. That finally forced me to get an iPhone. Now it’s come to PCs. Yeah! The Win 3.1 and 3.11 versions are missing from the list. Even though only 18 now, my first computer ran 3.11, however I’d been using windows 98 for a few years by that point on the family pc. Windows 8 isn’t wrong or broken it’s just different, it’s aiming for a wider selection of users. the corner gestures soon become intuitive if you accept that your going to have to use them. Bought a new laptop with W8, fully charged battery lasted about 1 hour. Took off W8 and installed W7, fully charged battery lasts about 4 hours! W7 is the best they’ve done so far. Funny how most didn’t like Millenium, I had no problems with it and it ran much better than 98. Suppose it’s all down to processor type etc…. My first was W3.1, next 95, 98. Luckily I avoided sh*t like Millenium, jumping directly to XP. And again I avoided Vista, installing W-7. And only now, when 64-bit world become stable, I put W-7 x64. What I do now? I IGNORE W-8 line until M$ hindu return to desktop ideas. I even didn’t hear about sh*t like that! The first thing I did is installation of Windows Commander – best “shell” ever. Wait a second: “Windows 3.0 was the first big success from Microsoft.” I think this needs to be qualified a bit. Aren’t these the guys who brought DOS to the masses? I’d call that a big success! “corner gestures soon become intuitive if you accept that your going to have to use them.” – I have a different “gesture” in mind for a company that simply forces its tinkertoy designs on its customers and ignores their input, leaving the corrections to third parties. I first used windows – as a developer actually, “user” would be a stretch – in 1989 with version 2.1. Having come up through the ranks, XP was the first version of Windows that began to alleviate the stench of DOS, and give signs that personal computers were taking a step forward after the giant leap backward that was the IBM PC. Even W7 still has faint odors of “not really” multitasking. Every time you launch XL or Word to view a file (not print, view) and your screen freezes while your laser printer warms up, you’re smelling single thread, real mode, non-preemptive, brain dead OS architecture there folks. Windows still does not do well what Unix did well in the 1970s. Our computers may be more powerful than the ones that sent Apollo to the moon, but our programmers certainly are not. To be correct: The OS was MSDOS, and Windows 1 (and all the way through to 3.11) was a shell. Windows 95 was the first Windows OS. 1.0, on 286 but could not go too far with that. Then use 2.0 on 386 which was hidden in Aldus PageMaker. I’m guessing the article was directed more at consumer versions while NT and 2000 were pretty much business only. mmm, really? It’s more an attempt to keep up. The great weakness of MS nowadays is that it is mostly floating on two products: Windows and Office, both are old and at the end of their development cycle. In fact, Office hasn’t brought much new features that are useful to most users since 2000. The company should use the revenues they’re still making with these two flagship products to invent in something really new, before the flagships sink. I don’t think the world is really waiting for another Windows version only intended to get money out of our pockets. I would argue that brining a tablet UI to desktop and laptop computers is ahead of the times. That’s why a lot of people don’t like it. We aren’t ready for touch optimized interfaces on every device. Windows 1.0 was the first Windows OS because “Windows” is in the name. I don’t think you know how to use Windows 8. As it says in the first line of the article, it was announced in 1983. That still did not make it an operating system, and MS did not sell it as an OS. I had it myself from version 1.0 on. That’s called a mature product, and there’s nothing wrong with it. For every teenager poking tiles, there’s a business user still needing to do his job every day without silly Fisher Price garbage cluttering up the UI. If Microsoft sells out their bread and butter, the beating they’ll receive in the market will make New Coke look like a walk in the park. If you repeat a lie often enough it becomes the truth. The sad thing about MSDOS is Gates didn’t pick a better OS to steal. MSDOS was about as successful as the Soviet Union. Made a royal mess of things, and lasted far too long… and some of the more odious parts of it still haunt. Yeah, why didn’t they mention Win2K? Or windows NT? I started using Windows NT4 in 1996 and it was a real OS, not a GUI on top of DOS. Much more stable and only gave trouble, usually a BSOD because of a flaky driver. Ha ha. Apple sued because Microsoft ‘stole’ their look and feel that Apple stole from Xerox PARC. You’re being too technical. This is not “30 years of Windows being an OS.” It’s just about Windows existing as a thing for 30 years. My mistake! Friggin’ Monday mornings! :) However, after SP2 it worked well, yet again another reason to wait for at least the first Service Pack. I tired 3.0 and dumped it due to lack of applications and support. It was version 3.11 I started to use again due to wide spread support with a lot of applications. I had even bought my first full color video card from Best Buy because it had Windows 2D acceleration. It was this time I started to use Windows exclusively, except for most game which still wanted to MS-DOS. Yes, it was a bit strange to see full color pictures and videos on a system which was still cartoonish looking. i think I’ve used all desktop versions except Win NT 3.51. Some idiosyncracies like the scientific calculator not having a square root have carried through from Windows 2. Windows 2.11 fitted on a floppy but programming it was a right pain. Everything over 64K had to go into global memory or into another DLL. I remember a Windows 286 & 386, are these listed above as Windows 1 & 2? Not really. Desktops are not well suited for touch interface because the displays are on , well, desks. Meaning the display will normally be one foot away, or more on average. Your arms are going to get tired with them extended out all day long. I really liked NT 4. For me, it was stable as a rock, rarely had any issues. That is like saying the OS on the Commodore 64 was a server OS..LOL! I sure don’t remember hundreds of people logging on my Windows 2000 desktop. umm..C64 used BASIC off a ROM chip. you accessed the kernal from the basic commands. not a good comparison for your argument…..
Sure it is…Just as the OS on a Commodore 64 was not a server, neither was Windows 2000, nor Windows NT 4.0, however one could get server editions. Well, to be fair, a lot of companies back then announced vaporware products all the time. Actually Jethro is right! There was no version 2.0 of Windows. This article has a few facts wrong. The second release of Windows came branded in a 286 and a 386 version, each tweaked for that processor (and most often bundled with a Microsoft Mouse). One was named Windows 286 and the other was called: Windows 386. Simple, DO NOT use it. Why even talk about it? 3.11 (“Windows for Workgroups”) was a Microsoft milestone for its reasonably decent networking. Should have been mentioned IMO. Server and non-server editions existed. For example, 4 editions of Windows 2000 were released: Professional, Server, Advanced Server, and Datacenter Server. One of these clearly was not a server. So you’re right, but Howard isn’t wrong. So many evil comments for Windows. Why??? The same in my company, but they all use it and can not even imagine to use something else. When I asked a guy on a radio (in private), why bad words for Windows 8, he said sort of: “Well, you know, folks just expect that, I can’t say it is good”. Not the first time for bad comments for new Windows, as if people can’t understand or are to lazy for a new thing. But, after some time it becomes “good old Win X”, and time comes to spit on Win X+1. I’ve used every version of Windows since v2. I’d have to say my favorite were WinXP, Win7, and now Win8.1. For all the flak it gets, Windows 8.1 is really Microsoft’s best operating system. It still has the desktop, and if you like Windows 7, the Win8 desktop is just as capable as and can do everything that Windows 7 does. In most respects, Windows 8 is more efficient, faster to boot, lower memory footprint, faster to operate, with less random disk access. The sole difference between Win7 and Win8 is the fact that the start “menu” was replaced with a start “screen”. Personally, find the start screen to be far more useful, and I like having parity in terms of the main OS screen between my phone, tablet, and desktop PCs. You can absorb a massive amount of up-to-date information at a glance in the Windows 8 start screen, something that simply isn’t possible with Windows 7. Microsoft had to break with the old, established, tried-and-true design for windows in order to make some progress into the modern age. They certainly get a lot of hate for it, but I commend them for taking the risk. As future versions are released, which it seems maybe on a 6-mo to 1-yr cycle, the platform will only get better, more stable, faster, and more capable than ever. Immersive, interactive, ubiquitous, multitouch interfaces are the way of the future. People are already ditching PCs in favor of their tablets. How long before they ditch the tablet for computing that is just available, everywhere, wherever and whenever you need it…say a TV remote embedded in the arms of your couch, news reading and maps in your coffee table and windows, shopping lists and recipes in your refrigerator and phone, etc. Personally, I can’t wait for Windows 9! I find it all rather exciting! My first one was Windows 3.1. The most I’ve used is XP, in fact I still have it on all my computers except in one, which has Windows 7. As Sjaako notes, the big jump for many people to NT technology (and for me too) was not from Millenium to XP, but from 98 to 2000.
of those DOS sessions. Pretty sophisticated for its time. It’s a joke… a play on words. Yeah right. Adopted by who? If you mean “strong armed” to defenseless new PC buyers (just like Windows Vista), you’re completely right. But then again, that’s the main reason for the PC downturn and for Ballmers exit. 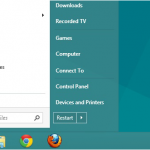 Why does Windows 8.0 hating make you a retard? Linux bashing was common place in the 90’s by Windows enthusiasts who didn’t wanted to learn a more modern OS. They mentioned lack of apps and strange UI as arguments, with no noticeable productive gain. Sounds familiar? I guess revenge is a dish best served cold, as in “dead-cold” PC market. 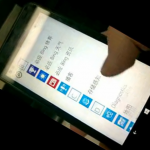 Windows 8 does not run on any phone. You’re thinking of the completely incompatible but visually similar Windows Phone 8. Even Microsoft people are working hard to merge both environments in order to create a single API and a single store, but that’s not the case today. WP7/8 apps have an *.XAP file extension. Win8/RT apps have an *.APPX extension. I love Windows 8. I have a Windows phone, Surface Pro and Desktop version. The UI is far more friendly and the memory of system crashes and viruses is now far into my rear view mirror. 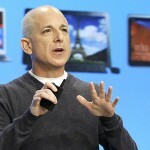 When coupled with Exchange and Skydrive it leaves Apple in the dust. Joe: I guess he means Metro apps, which technically you can only run one if you don’t have a widescreen monitor. Alas, he has a point. Windows 8.0/8.1 is at 1.0/1.1 level with regards to Metro apps. Just like Office 2007 v Office 2003, Windows 8 is feature by feature inferior to Windows 7. Windows 8.1 is still not at parity. I’m sure Microsoft will be there in 8.3 or 8.4 but don’t think the market will wait that long. Jon: The same could’ve said about OS/2 and Linux and the market could care less. If you don’t have a familiar interface and you don’t run the market leader’s app (Windows back then Android today), you’re dead in the water. As the old saying goes: “Kill by the sword, die by the sword”. The version of Windows that I liked the most was not mentioned here but it was Windows 3.11 aka Windows for Workgroups. That wersion had a very easy inteface for networking rather tha the back then popular Novell Netware. It was a joy to work with that version, sharing files was easy, printing in a shared printer was a breeze and if you had a central server for housing the CD of Wisual Studio 1.0 (1.0!!!) installing it in a workstation and coding in a… wel, workgroup was a delight. I was on my last semesters in college and landed my first real-world-coding job with the mentioined version of Windows and I learned a lot and enjoyed it completelly. Thank you guys for the memories! good times! I remember when Windows 3.1 first came out. It came on 8 3-1/2 diskettes and didn’t have a single stitch of copy protection on it. We installed on any computer we got our hands on. And even charged people for doing it. Why wasn’t Windows 2000 mentioned, that was my favorite realise from MS. WIn 8 applications (Metro) for Windows Store can be developed on a PC in Visual Studio 2012 / 2013 and can be run on a PC / tablet / phone. I use Win 8 / 8.1 for a year now, without problems, also the Win Server 2012, and I like the new user interface. I like changes, new things. I do not understand so many bad comments about Win 8. Why? Everything works great. Visual Studio 2013 is great, Office 365 also, SQL server 2012, the whole family of products, and others that I do not use. There is no other software company that develops so wide spectrum of different software. Maybe someone is afraid of Microsoft? Lotus 1-2-3 -> Excel, Word Perfect -> Word, Netscape -> IE, IBM DOS -> MS DOS. 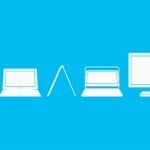 .NET to run on all devices? Windows Store 8.x apps are developed with Visual Studio 2012/2013 on Windows 8.x and generate a *.appx file that can be exported to the Windows Store. They will only run on PCs or Tablets running Windows 8, 8.1 or RT. Windows Phone Store 7 or 8 apps are developed with Visual Studio 2010/2012//2013 on Windows 7 or Windows 8 and generate a *.xap file that can be exported only to the Windows Phone Store. They can only run on Windows Phone. Sorry to dissappoint you but that the ugly truth. W2K “PROFESSIONAL” was NOT a Server OS. It was pretty stable before XP. Why crash a PC when you can crash a whole work group/network of them. Windows 3.11, same old instability, slightly newer number. Wrote my first commercial software for it. BTW. On an unrelated note: “Win 2000” was not a server OS. “Win 2000 Server” was the server version and “Win 2000 Pro” was for those that required more networking services than Windows Workgroups supplied (Mostly business neworks). “Win 2000” was the consumer version. Win 2000 (all versions) was built on and therefore the successor to Win NT but it was also the true predecessor to most of Win XP. Any code carried over from ME to XP was purely for backwards compatability to the DOS based Windows versions. Not that Win 2000 had any issues with backwards compatability that I ever encountered. Windows 8 is the shittiest version of Windows ever. Worse than ME and Vista. Rubbish Rubbish Rubbish. I had it for a bit but couldn’t stand it and re-installed 7. I used to work with an Apple fan saying Apple computer was much better than Windows PC, but when I asked him to show me just one Apple computer in the company to convince me he was right, he couldn’t do it….. If “ahead of the times” means “no one sees a use for it at present,” then yes. I used windows 95 first time in 1998 but windows 8 is best. I see a pattern here. Success followed by failure followed by success followed by failure…and so on. Windows 8 and 8.1 are by far my favorite versions of Windows. I do have fond memories of Windows 95, though. “Start me up”! Windows 8.1 for the win! what about windows 2000 and the other older windows nt versions, is this only for consumer versions of windows? It actually came from terminator 1. From the scene when the T-800 returns to the police station in a big car and smashes the car in the front of the police station.